All of the inks in this set were provided by Franklin-Christoph for me to review. I always do my best not to allow that to sway my reviews, but it is something that I always have to put upfront in sponsored reviews. This first one is called Midnight Emerald, and it's a bit of an enigma. I can't really figure out what to call this color. It's definitely a green/blue of some kind, but I can't put a name on it. 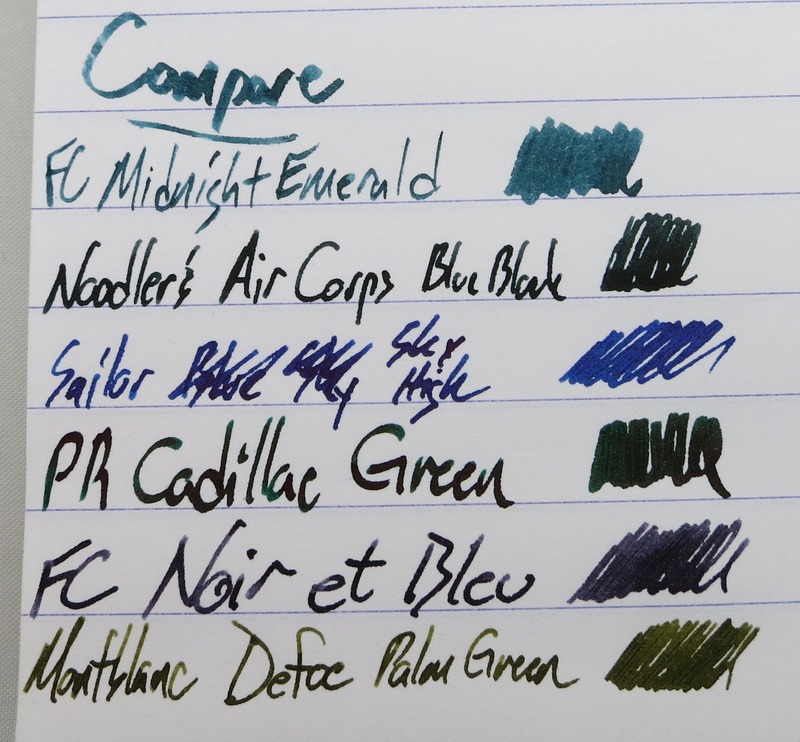 It's a cool ink, though, and it's not much like the other blue/greens that I've got in my collection. 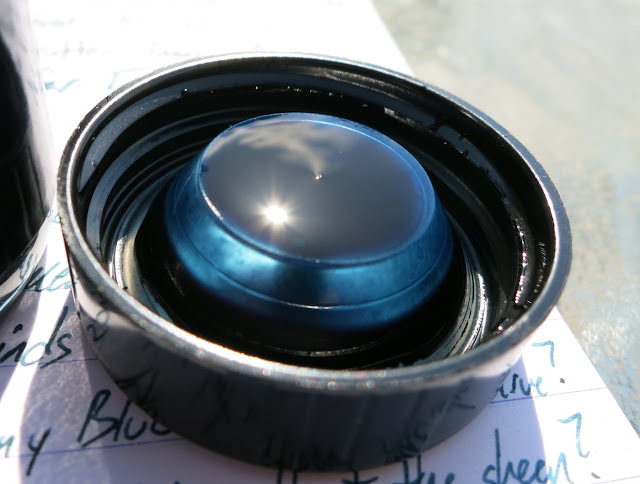 It reminds me of some inks in the blue-black range, but it's not quite like any of them. 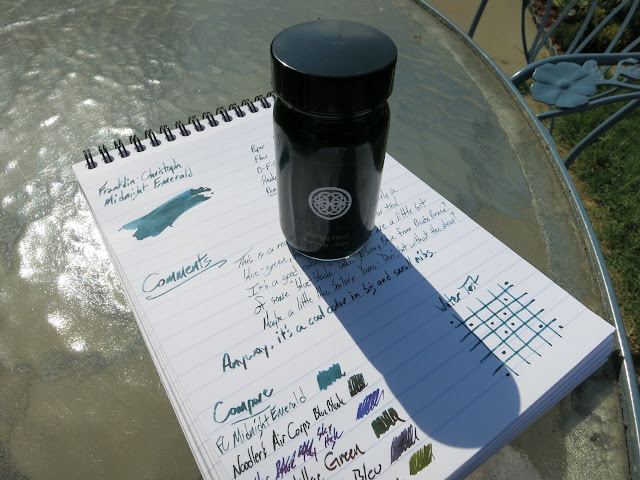 It's more green than inks like Noodler's Air Corps or Private Reserve's Ebony Blue. 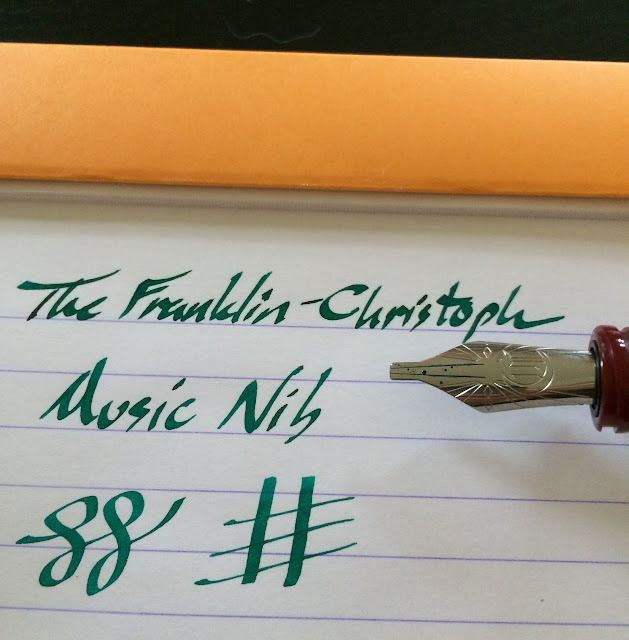 It's closest to Sailor's Yama-Dori, I think, but it lacks the sheen. It's its own color. 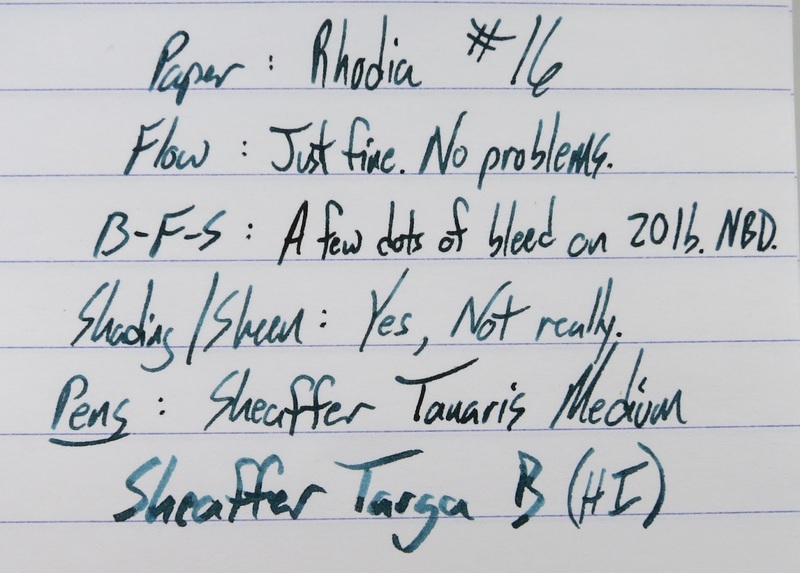 That Targa has a nib like a paint brush, and this ink looks much different in that one than the tiny "medium" on the Tanaris. 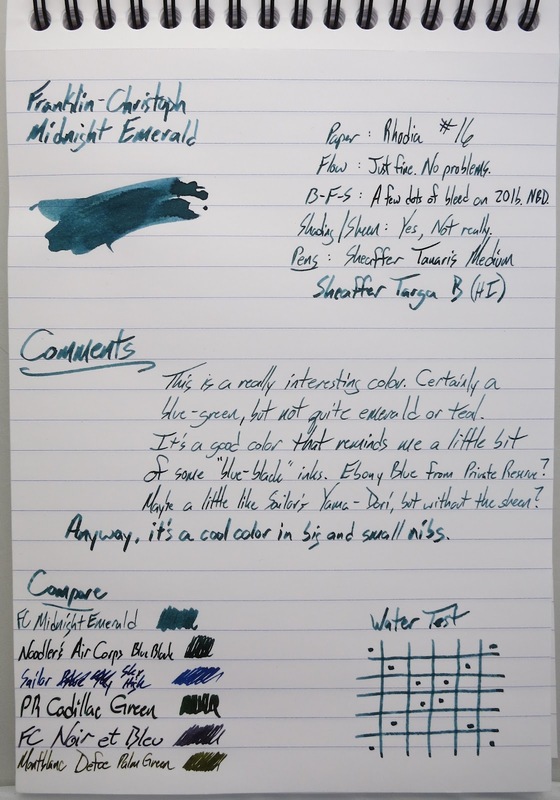 Both write smoothly with this ink. Lots of blue, right? 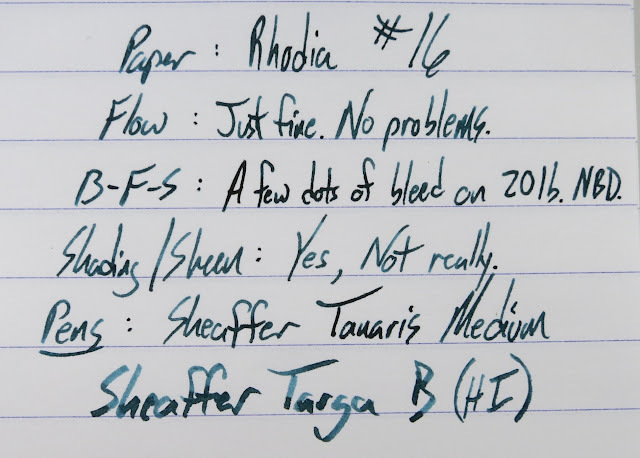 There's certainly a band of green in there, though. 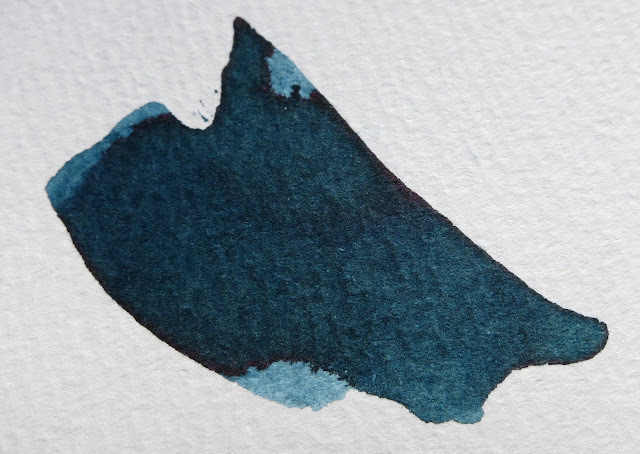 This ink definitely looks more blue when it is wet than when it is dry. It looks like a straight-up blue when you look in the bottle, but it's certainly got green in its heritage, and that shows more when the ink dries. This might seem kinda silly, but I really like the plastic insert in the cap of these bottles. I don't know exactly what it does, but I like it. 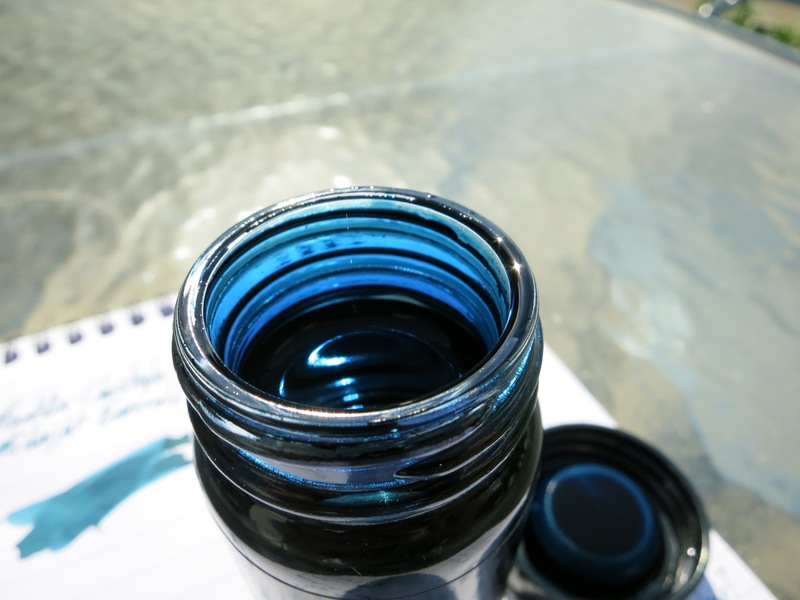 If there's one quibble about this ink, it's that the name on the bottle could be easier to read. 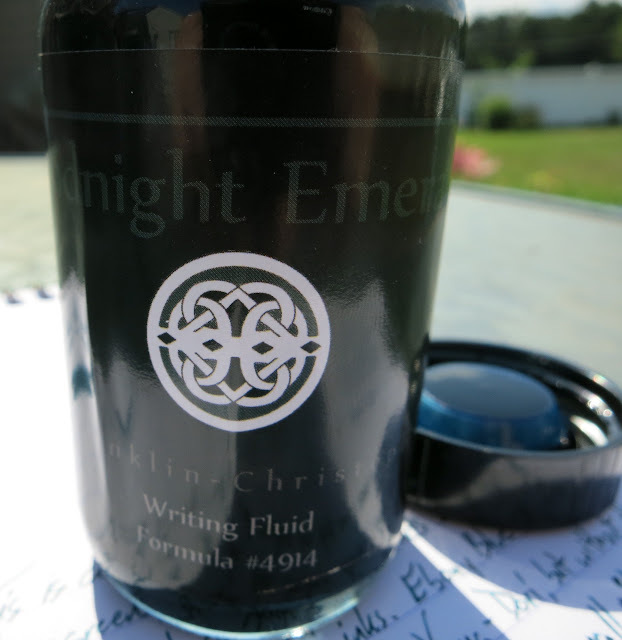 It's legible here, but this is really bright sunlight, and it's harder to read inside a house. 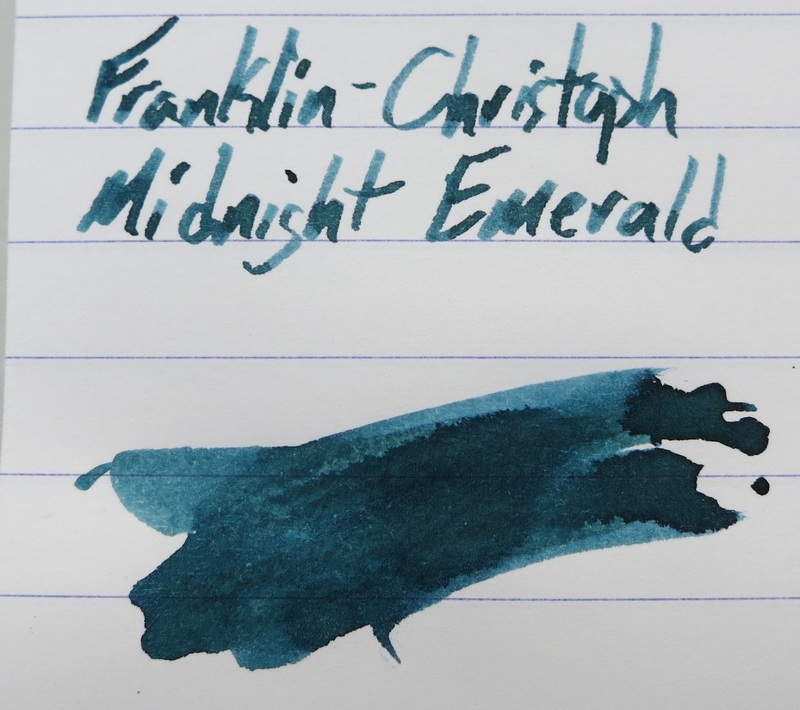 You can find these inks at Franklin-Christoph's site for $12.50 in a 2oz glass bottle. 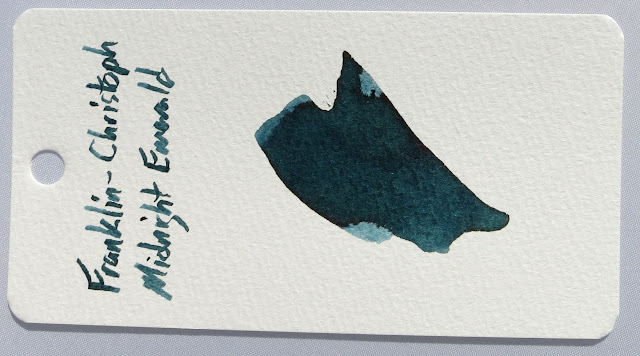 Midnight Emerald is a unique ink, it behaves well, and it would be a good addition to your ink rotations.